If you are a website or business owner that would like to rank better in Google search please feel free to reach out to me at jwojdylo@gmail.com. I have several monthly SEO and Internet Marketing packages that can help you get more customers or business. Google’s most recent Penguin update has been causing quite a stir among SEO gurus and forums, and for good reason too. 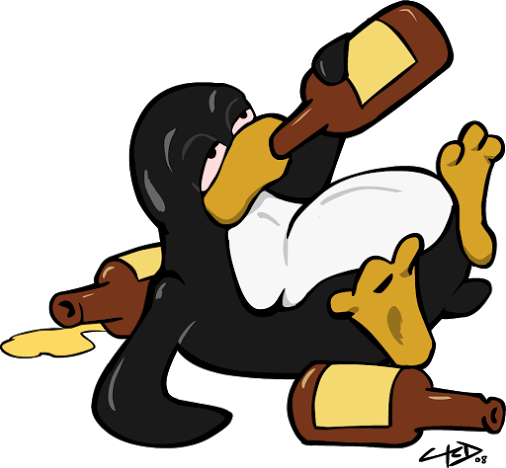 While the update has been welcomed by many, especially those hit by the Penguin 2.0 update last October, the subsequent tremors, labeled Penguin 3.1, 3.2, 3.3, and 3.4 by Search Engine Land, have left many webmasters on their toes and scratching their heads. As a reminder, Penguin updates and refreshes involve penalizing sites with that are “over optimized,” i.e. plagued with keyword stuffing and bad link building techniques. For more information about the Penguin or Panda algorithms, read this. The difference between an “update” and a “refresh” are also worth noting. An update involves changes to the algorithm, while a refresh is just a re-run of the algorithm for purposes of catching sites that were previously missed by the Google bots. Unlike past updates, this Penguin re-do comes at a time when Google has promised us it wouldn’t, meaning that time and time again (2011 and 2013), the search engine behemoth says it prefers not to mess with search engine algorithms during the holiday season–the busiest time of the year for many ecommerce websites. You can thank the 2003 “Florida” update fiasco for that lesson learned. However, it now seems that over the course of seven weeks (hello, Thanksgiving, Black Friday, and Christmas 2014) substantial reverberations of Penguin 3.0 have been noted, meaning that Google broke it’s own rules this go-round. With this timeline in mind, the Penguin 3.0 update is an unprecedented step in a strange direction for Google, not only because of the many altered iterations of the algorithm after the October release, but also because the of the high frequency of refreshes over a relatively short amount of time. SEO expert Glenn Gabe has been tracking Penguin 3.0 and has come up with some information regarding the rollout effects of the update on many different types of websites. Most notably, those sites punished by October 2013’s Penguin 2.0 have significantly improved in ranking (meaning those domains which had taken significant measures to remove or disavow unnatural, spammy links). It is important to note that Penguin tremors are still being felt around the web, and that Google has remained silent in regard to the update. Therefore, it may be too early to draw significant conclusions and consequences about the update as more of Penguin 3.0’s elements could be right around the corner. Until then, keep an ear out for what Google may have to say about this bumpy ride, and continue to monitor website analytics for further update surges. While your site may be getting hit with penalties rather nonsensically at the moment, trust that with the right SEO tactics, your ranking shouldn’t be down for long. Once again, if you need assistance with content, SEO or ranking in Google search reach out to me at jwojdylo@gmail.com. I will be more than happy to help your business rank better in search. Some of our sites that were hit have bounced up by as much as 90 places. Random inner pages were ranking for homepage terms, it was all over the place. Just couldn’t see why. Now it’s all fixed. Loving what Google is doing right now. My website traffic drop in two days. I am getting only 2000 pageviews in last two days. In past i have got daily 2225 pageviews so help me to rank better again Or Google Penguin hit my website? I got 6000 above visitors per day from last week. But this week i got only 100 visitors per day. How can i recover my site from penguin update. fluctuating my website traffic. Can i stable the ad sense continuously.